We review the top 10 skin brighteners of 2019. See which one ranked #1 in our list. Is your skin dull due to sleep deprivation and high stress? Or are you suffering from dark spots in certain areas of your skin? If your answer is yes then the good news is that over-the-counter topical products offer an affordable and effective solution to your problem. These products are called skin brighteners which can be used to lighten your overall complexion, get rid of dullness or give you that radiant, youthful glow you’ve lost. These products can also be used specifically on dark spots like sun spots, age spots and any hyperpigmentation issue that is affecting your skin. Skin brighteners basically work by using special active ingredients that lighten the pigment of the skin. Most of these ingredients work by decreasing or stopping the production of melanin in the skin. Melanin is responsible for giving the skin its color through pigmentation. Hyperpigmentation which results to dark spots can be caused by medication, overexposure to sunlight, certain chemicals, and skin conditions. Is the Effect of Skin Brightening permanent? How to Select the Best Skin Brightener? Juvabrite is a product that is made by the highly reputable company Solvaderm which targets age spots and skin discoloration. Solvaderm is a U.S. company that has an extremely high profile – they are an innovative and well-regarded manufacturer that produces a number of high quality, professional skin care treatments, all of which are available from their official website. Two of the most popular products in the market are those that have a skin lightening and anti-aging effect. The increase in people looking for these products has led to a general rise in many fake brands, which do not live up to their promises. In some cases, the product may consist of harmful substances that may have numerous side effects. The only way to differentiate between a real product and a potentially harmful one is by looking at its ingredient list. Zeta White is a skin improving product that promises a healthier, younger looking and lighter skin. The manufacturers of Zeta White claim that their product comprises of only natural ingredients that work round the clock for optimal results. When the skin is exposed to specific changes in the environment, it starts to experience problems that result in dull looking skin. Age also produces age spots, uneven complexion, and tired looking skin. The thing with these changes is that they are inevitable and there is little we can do to prevent them. Despite this, you do not have to endure an unpleasant looking skin. 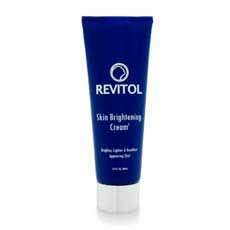 Revitol Skin Brightener is a skincare product that is specially formulated to lighten and brighten your skin, resulting in a healthy even toned skin. It contains all natural ingredients that promote cell renewal and removes dead skin. It also ensures that the skin is adequately nourished and hydrated. 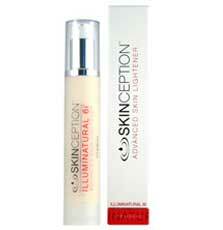 Skinception – Illuminatural 6i is a natural product produced to take care of the user’s skin. It’s a skin lightening formula obtained from a combination of natural ingredients, which function well in boosting skin health and complexion. It’s also potent in reducing skin discoloration and hyperpigmentation. This solution is said to be a fast-acting one, which is free of parabens and sulfates; thus it functions without causing adverse health outcomes. It helps in skin exfoliation, thus eliminating the damaged signs. This solution is available online, and the users can order it directly from the company’s official website. It is sold at a price of $55.66, and it has discount offers, money back guarantees as well as free domestic shipment. Skinception Argan Oil is a beauty and skincare product, which can be applied to the skin, whole body and the hair. It’s manufactured from natural ingredients, which function well by enhancing skin hydration, thus boosting skin tightness and complexion. This treatment functions well in protecting the skin from sun damage. It boosts collagen production, which plays a role in enhancing skin exfoliation, thus eliminating the damaged skin cells while improving the creation of new, tight and healthy skin cells. Revitol Rosacea Treatment is a skincare product that has been formulated to combat rosacea. It is a cream that has been manufactured by Revitol, a recognized skincare company. It is well-known to eliminate redness on your nose, forehead, chin, and cheeks for a healthy skin. It improves the look of visible veins in troubled areas of your face. Its active ingredients are known to combat thickened skin. It reduces bumps and pimples o your face for an improved skin’s appearance. It is used to kill bacteria found on the surface of your skin to prevent rosacea breakouts as well as preventing the formation of pimples. You will be able to achieve and maintain healthy and improved skin for a longer period. Dermology is a skin brightening product that claims to make women’s skin look healthier, brighter, and more glowing than ever. Making the complexion look lighter can be an extremely demanding process after a certain age. Reducing discoloration is the very 1st step towards having a more rejuvenated and more elastic skin. Dermology Skin Brightening is an all-natural cream based on herbal products. It has the capacity to make the skin seem younger and more radiant. If you want to improve your overall skin tone and brighten your complexion, City Lights Radiance Perfecting Cream is a recommendable product. It is clinically proven to reduce the appearance of an uneven skin tone and brighten the complexion of the user. It is applied at night to fight dullness while preventing skin discolorations. The cream is a combination of antioxidants, vitamins and natural fruit extracts that reduce the melanin levels in the skin to safely lighten skin tone. It also contains moisturizing ingredients to hydrate the skin and protect it from further damage. This is a very effective product for making your overall complexion brighter and more radiant but it is not very effective for dark spots and other hyperpigmentation issues. 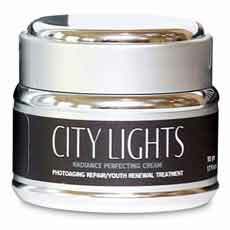 One small jar container of City Lights Radiance Perfecting Cream is being sold for $72 online. Shiseido White Lucent Intensive Spot Targeting Serum is a powerful formulation created to reduce the appearance of dark spots in just 10 days. It can also be used to prevent future pigmentation problems from occurring. It uses smoothing and re-texturing ingredients to make the skin clearer and more radiant for an even-toned skin free from blemishes. It uses Yomogi extract and Angelica root extract to accelerate the turnover of cells and eliminate melanin from the skin. This is a potent formulation and is known to cause skin irritation to certain people so it is not for individuals with sensitive skin. 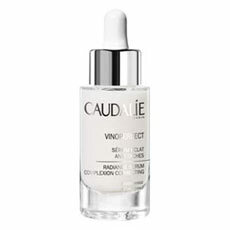 Caudalie Vinoperfect Radiance Serum is a highly concentrated serum that improves the appearance of dark spots and promotes an even skin tone. It also helps make the skin more radiant and younger looking. It uses Viniferine which is a satiny serum that has been shown to reduce dark spots like scars, acne marks and age spots. It contains active ingredients like tocopheryl acetate, palmitoyl grapevine shoot extract, squalane and glycerine so it doesn’t just address hyperpigmentation but also deeply moisturizes the skin. There is a lot of good customer feedback saying this skin brightener is really effective, but there are also some that say it isn’t very effective. One container of Caudalie Vinoperfect Radiance Serum is being sold for $79. This is a very common question that is associated with skin brightening cream. Skin Brightening cream addresses the issues of brown spots caused by UV rays of the sun and aging spots. It reduces a pigment called melanin, which helps in brightening the skin. However, the effect of skin brightening cream is not permanent as the skin is constantly renewing itself, which means it will automatically form new melanin. There are hundreds of skin brighteners currently available on the market. You need to be very careful in choosing a product since most contain potentially harmful ingredients like hydroquinone and kojic acid. Did you know that hydroquinone has been found to contribute to the development of skin cancer? Other chemicals like potent chemicals can cause chemical burns and damage your skin leading to a more problematic hyperpigmentation problem. This is why you need to carefully inspect the active ingredients of the product you’re planning to purchase. Also, use customer feedback as reference to help you find the best skin brighteners.